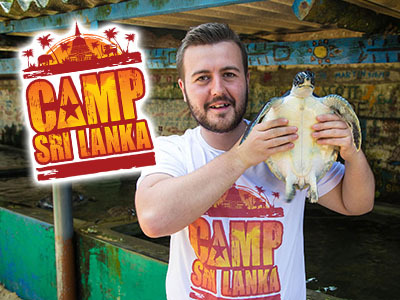 Great news: The agonising wait is over and Camp Maldives is finally here! Today, we’ll touch down at Velana International Airport to begin what promises to be a memorable adventure. Upon arrival you’ll be provided with a transfer to Hulhumale Center, your accommodation for the first six days of the Camp Maldives program. NB: Airport pick-up times will vary dependent on your arrival time in Maldives. After a much-needed rest after a long-flight, it’s time for your first full day of the Camp Maldives program! After breakfast, we’ll be heading for a walking tour of Hulhumale. Located in the south of North Male Atoll, Hulmanale is a reclaimed island promoting sustainable living and is the first urbanised area in the Maldives dubbed the City of Hope. As the sun sets, we’ll head to the beach and enjoy a delicious meal to cap off a memorable first day in Maldives. Rise and shine! Today we have a busy (but fun!) day lined up with a broad set of activities planned for the group to enjoy. While English is widely used by Maldives in education, commerce and hospitality industries, dhivehi is the official language and the most widely spoken language. After breakfast we’ll spend the morning getting to grips with the native tongue during a dhivehi crash course – you’ll be saying “kihineh” before you know it! Learning a new language can be tiresome work! In the afternoon, you’ll take a cooking lesson and learn how to conjure together some of the most local dishes; enjoy the fruits of your labour and replenish your energy ahead of a game of futsal in the evening with the locals! Today, we’ll be heading to Male, the capital city of the Maldives. Known for its exquisite mosques and technicolour buildings, this majestic island surrounded by aquatic aesthetics and while it’s one of the world’s smallest capitals, it boasts beauty by the bucket load. The trip is a fantastic opportunity to meet Maldivians in authentic surroundings, rather than resorts. This micro-capital has an abundance of attractions, with bustling markets, magical palaces and enthralling museums sure to accommodate your needs during your visit. After spending the day in Male, we’ll board the ferry and head back to Hulhumale to continue our adventure! Hot on the heels of a visit to Male, today we’ll be casting our Maldivian net and visiting Villingili, a truly stunning island located in Addu City, a location made up of a cluster of dreamlike islands. A sun-kissed island beset by looming palm trees, soft sands encircled by sky blue waters, Villingili continues to capture the imagination of visitors; now it’s your turn to be captivated by the splendour of the island – you’ll have the full day to explore the island, before we head back for a relaxing evening back at Hulhumale. Today, we’ll be continuing our Camp Thailand escapade with a trip to Himmafushi, one of the inhabited islands of Kaafu Atoll. A quaint island beset with natural beauty, Himmafushi is home to less than one thousand locals and offers an opportunity to delve into a genuine Maldivian affair. You and the rest of the group will be given the chance to spend the day in Himmafushi before we head back to your new accommodation at Himmafushi Center. On days 9-12 we’ll be heading to teach English or coach sports to the local children, so take some time to yourself and enjoy some much-needed free time! The Maldives has a functional literacy rate of 98%; this is the highest percentile in the South Asia and Indian Ocean region. The schools in the Maldives are a joy to visit and you’ll have an amazing time! Across the course of the next four days, you’ll have a choice between teaching English or coaching sports – either way, the children hugely appreciate your time and you’ll have an awesome time stepping out of your comfort zone. The time working with children fantastic to put on your CV; who knows, you may return from Camp Maldives with an urge to teach English or PE back home! Pop on plenty of sunscreen and slip into your swimming gear, today we’ll take part in a full day snorkelling session. All of your equipment is included, so don’t worry about extra costs; just dive in and enjoy the serene, subaquatic sights in the midst of paradise! When the Maldivian depths have taken their toll, relax on Bikini Beach, snap the ultimate Insta-worthy pic and soak up the sunshine. Free day to explore Himmafushi. After breakfast, we’ll be preserving the tourist beach, making a telling contribution to the upkeep of this beautiful location. After working up an appetite, we’ll have a delicious beach BBQ in the sunshine. Moreover, we’ll also have a mini beach volleyball tournament (depending on group size) so be sure to pack your competitive edge! Irrespective of your performance in the tournament, we won’t deprive you of any free time; the rest of the afternoon is yours to do as you please! Just be sure not to miss the evening BBQ – the most mouth-watering chicken and fish will be dished up! This morning, we’ll head on a trip to visit a Resort Island, during which time we’ll take part in games and activities. The Maldives is widely regarded as one of the most relaxing places on the planet, so this afternoon, we’ll be doing just that! Chill out at the resort, recharge your batteries and prepare yourself for sports day with locals on day 18! We’ve all been there at school, but the likelihood is you haven’t taken part in a sports day in the Maldives – we can assure you there’s nothing quite like it! The locals of Himmafushi are great company and we guarantee that you’ll love every minute of the events – there’s even an awards ceremony in the evening to round off the day! After the excitement of sports day, we’ll take a boat to Turtle Reef along the reef islands and take part in an incredible snorkelling session! The session lasts for the duration of the day and the equipment costs are covered, so get prepped, dive in and enjoy! After a long day swimming, trust us, you’ll be craving a rest! We’ll head back to the accommodation, where you can enjoy an evening of free time with your Campmates. Would you believe it – today is the last full day of your Camp Maldives adventure! We’re throwing the ball in your court today with a day of leisure and a visit to the beach; enjoy your final day as you see fit, before we return to reality! It’s been an absolute pleasure, we’ve had an incredible time, but unfortunately all good things come to an end – it’s time to head to the airport for your flight home! Thankfully, we don’t do ‘farewells’ here at Camp Maldives, more ‘cya later’! We have a whole host of amazing Camps to choose from all around the world – why not plan your next trip at the airport? Personally, we can think of nothing better to do in the departure lounge!